Adam Levine also joined Gym Class Heroes on stage to perform their hit single 'Stereo Hearts'. 25. 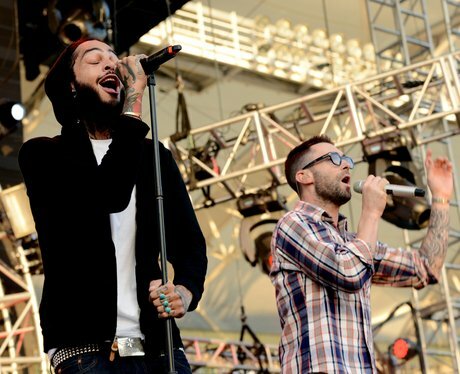 Adam Levine also joined Gym Class Heroes on stage to perform their hit single 'Stereo Hearts'.